An elegant touch of tailoring goes a long way to give your room a comfortable and classic feel. We guarantee a long-lasting frame with a hardwood construction and cement-coated fasteners so it can stand up to rough, everyday wear from your unpredictable family. 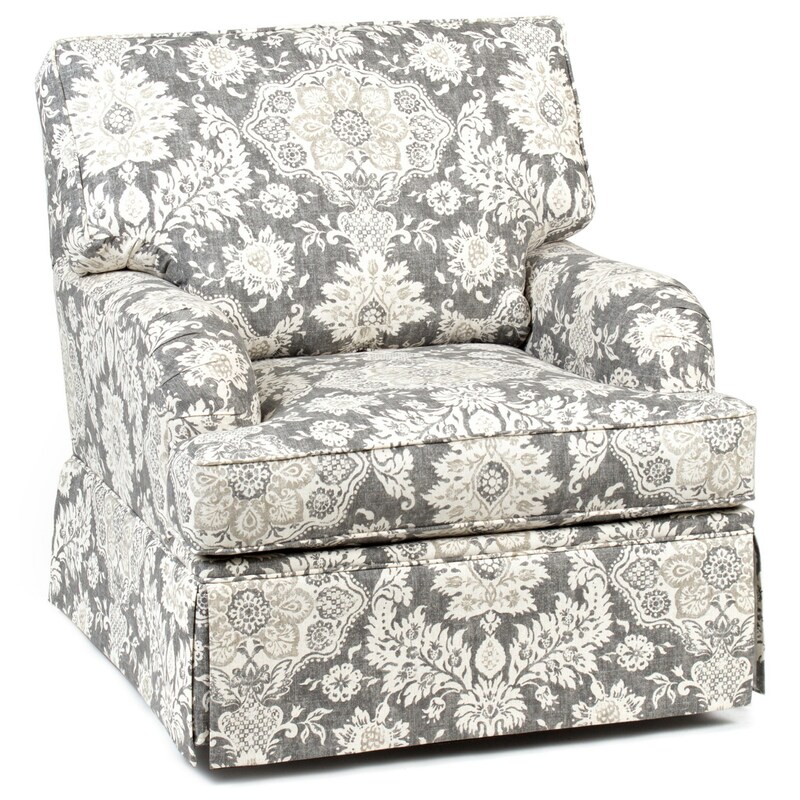 Timeless fabrics and a skirted base ensure you won't get tired of the look before the chair needs to be replaced. The Accent Chairs and Ottomans Traditional Skirted Swivel Glider Chair by Chairs America at Royal Furniture in the Memphis, Nashville, Jackson, Birmingham area. Product availability may vary. Contact us for the most current availability on this product. The Accent Chairs and Ottomans collection is a great option if you are looking for Traditional furniture in the Memphis, Nashville, Jackson, Birmingham area.